a group of people working together to advance their shared political, social, spiritual or artistic ideas. a campaign undertaken to see change & development. a business, organisation or project connected to a meaningful cause. you might be called to create a movement. or maybe you’re fiercely passionate about a particular cause. I believe these things happen for a reason. 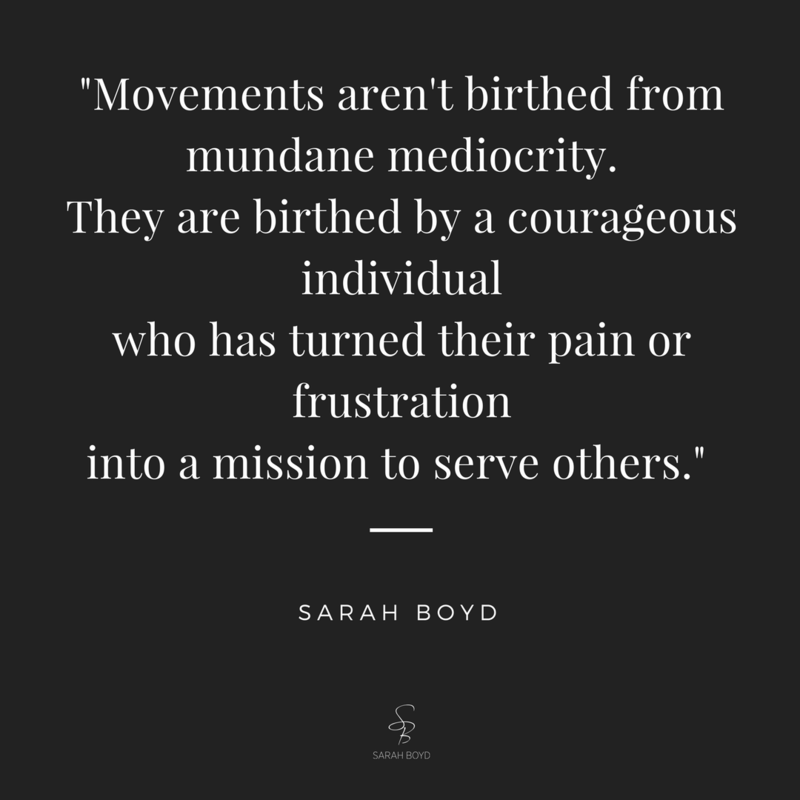 Movements aren’t born from mundane mediocrity. They are birthed by a courageous individual who has turned their pain or frustration into a mission to serve others. 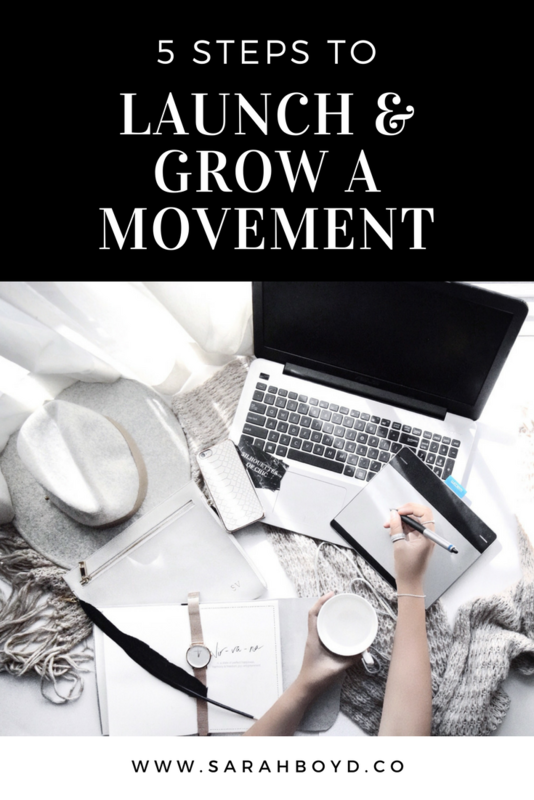 But movements don’t just happen, & they aren’t always successful. It takes great courage to start something & to build momentum long term. Your idea is a seed that will grow into long term vision. Yet sometimes we discount the seed, & throw it away before we’ve given it a chance to grow. The small beginnings of the idea needs to be given permission to take up space, in order to grow & develop. It needs permission to take small action steps forward, rather than just waiting until everything is very clear in your mind. Many women struggle with the idea of permission – they don’t want to do the ‘wrong’ thing or they don’t trust themselves enough; so they wait around for someone else to identify the potential & then give them permission. Because this dream was given to you. You are the one holding the potential for what it could grow to become. Therefore you have a responsibility to allow this idea to grow into reality. Money is energy; a resource – just like physical energy. If you want your vision to be sustainable long term (& not just be an expensive side-project), then you must commit to making it profitable. I get it – you’re not motivated by money & sometimes the thought of creating profit feels almost cringe-worthy. You really just want to help people & you’d do it for free if you could (which is a beautiful & pure motivation). But unfortunately it’s also mis-informed. Because without money, this vision & dream will stay just that – just an idea you once had. We have to become bigger than our old beliefs that money is evil or shouldn’t be talked about. We also have to grow out from the pattern of continually sacrificing ourselves to the point of scarcity & depletion so that we can help others. To bring big vision into reality, you need money. There are so many different ways to setup your business strategy so that it still feels authentic – you just need to find the way that works the best for you. The only way to scale & grow a movement is through leadership. Leadership may look like building your influence & following so that you can direct people to a cause. It may also look like leading volunteers, team & staff as the organisation grows. All of us also have internal narratives about what leadership is, how it should look, & whether or not we personally measure up to meet that standard. Because of these internal narratives & also because of the demands of a growing organisation, many individuals become overwhelmed by leadership. you will find an authentic way to lead that is full of ease & grace. 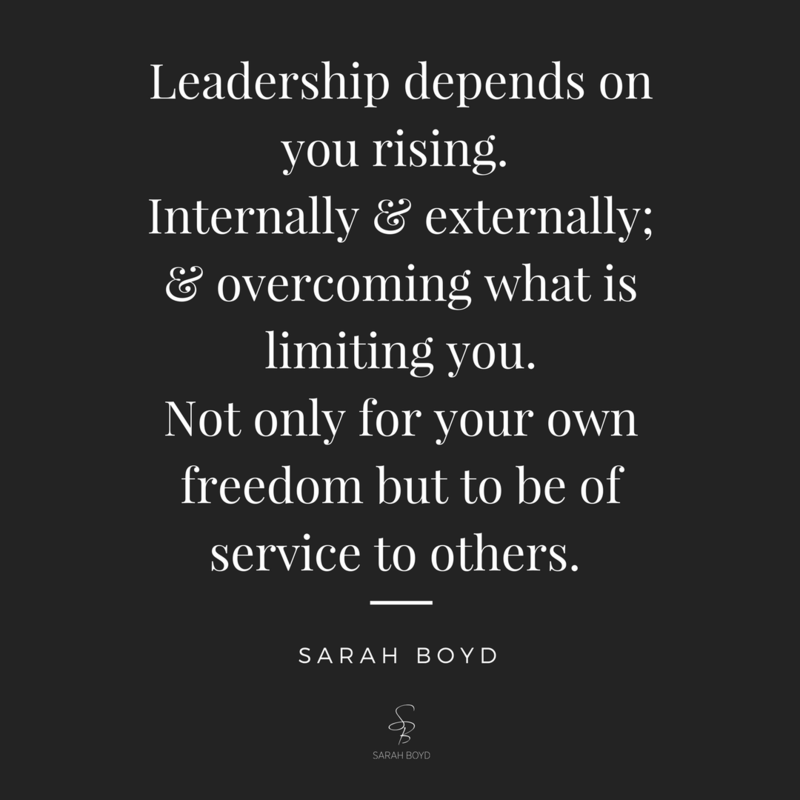 Leadership depends on you rising, internally & externally; & overcoming what is limiting you. Not only for your own freedom but to be of service to others. Welcome to the world of leadership &/or entrepreneurship! It is the most exciting, adventurous, terrifying emotional rollercoaster ride. It will push you out of your comfort zone in ways you literally never thought was possible. But all growth will come only when you’re so scared, & so far out of your comfort zone, that you almost want to vomit. It will take real courage – to face all your fears & insecurities to walk straight through them into your purpose. Courage doesn’t mean you’re not scared; it means that you won’t allow your actions & decisions to be dictated by a desire to stay safe. But you didn’t sign up for a safe, secure life. You signed up to make a difference, to make an impact & to help others. As you lead & build your movement, make sure you find your tribe. Your tribe is the following of people you attract for your cause. Your tribe is the volunteers, team & staff who want to give more of themselves to the cause. And (most importantly!) your tribe is also surrounding yourself with like-minded women who are also pioneering & doing big things in the world. It is a very normal experience for leadership to be lonely. Whether its the beginning stages where no one really understands what you’re trying to build or even judges you with an attitude of “who does she think she is?”. Or as your movement begins to gain momentum, people often assume that you feel competent & confident now. So the encouragement stops. You feel less & less trustworthy of who you can share you real vulnerable feelings with – cause turns out most people in your world now are looking to you for leadership. Make sure you find other leadership-besties, that you have permission to be your full confident powerful self (& also loose it sometimes!). April Beach Great article Sarah. So much of this resonates with my journey. Thanks for posting.